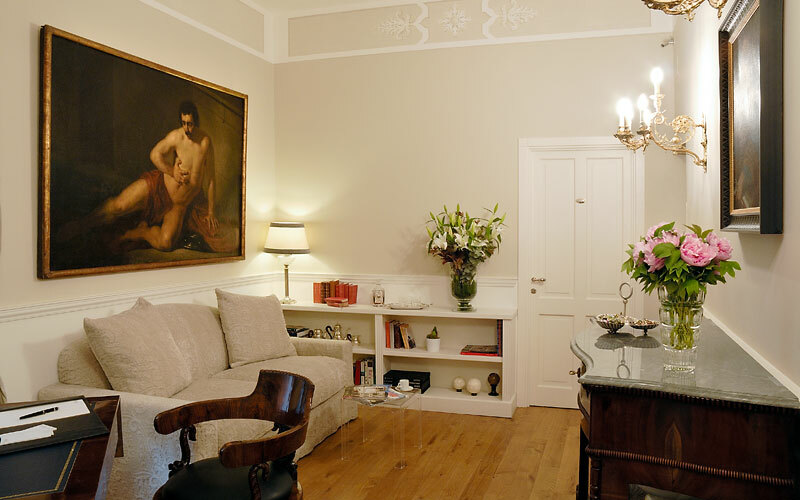 Crossing Condotti is an exclusive property, situated in a picturesque road which traverses Via Condotti, right in the heart of the city of Rome, and just steps away from the Piazza di Spagna. 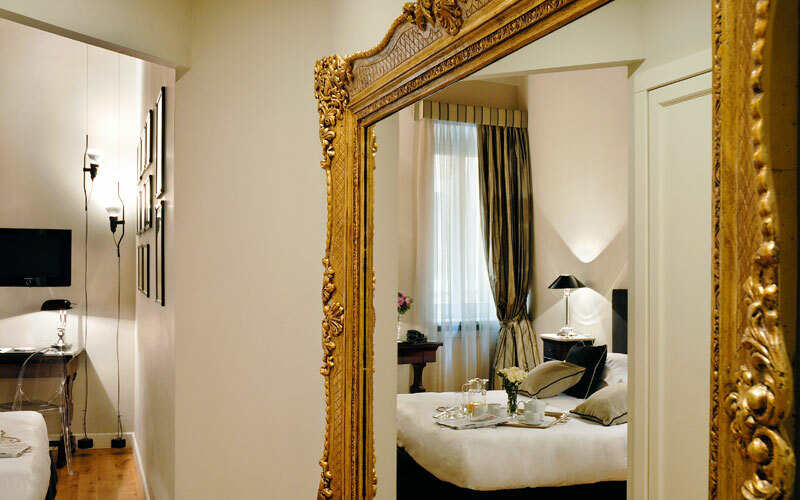 An environment where traces of the distant past can be found within stylish contemporary interiors, designed so as to offer maximum comfort. 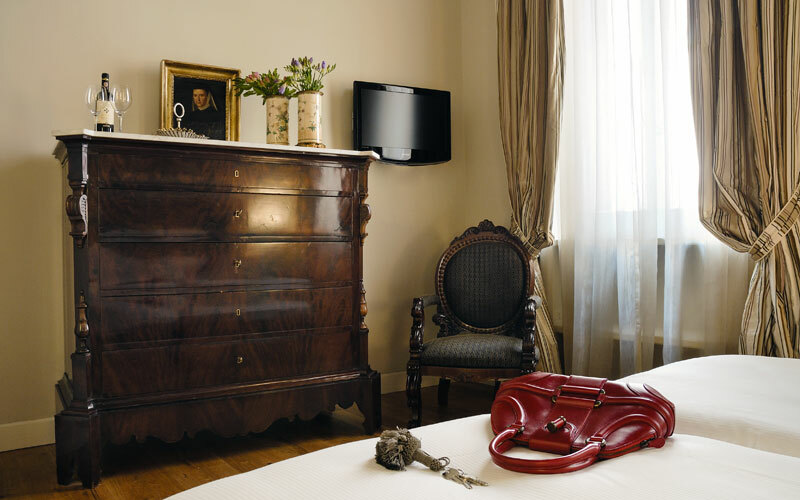 Guests arriving at the hotel are greeted with theauthentic and gracious hospitality which reigns supreme in this elegant Roman residence. 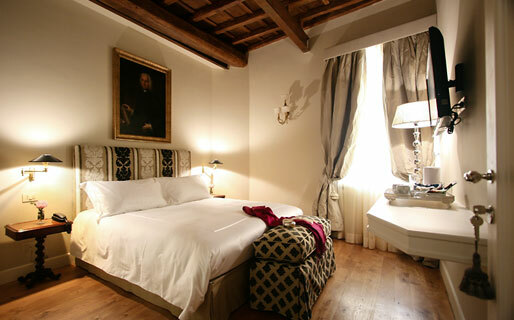 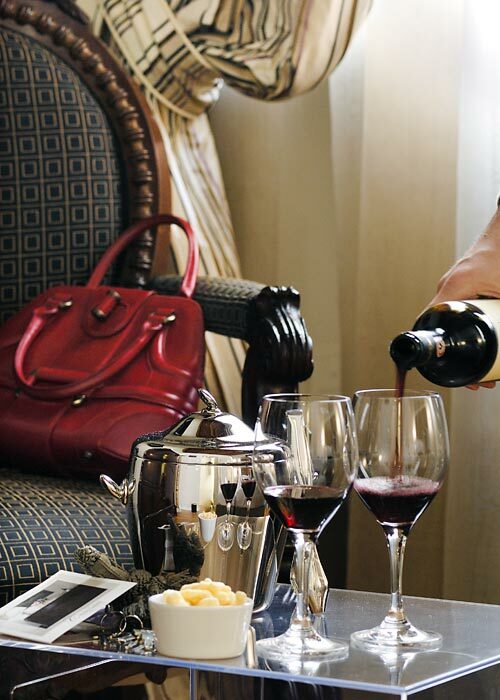 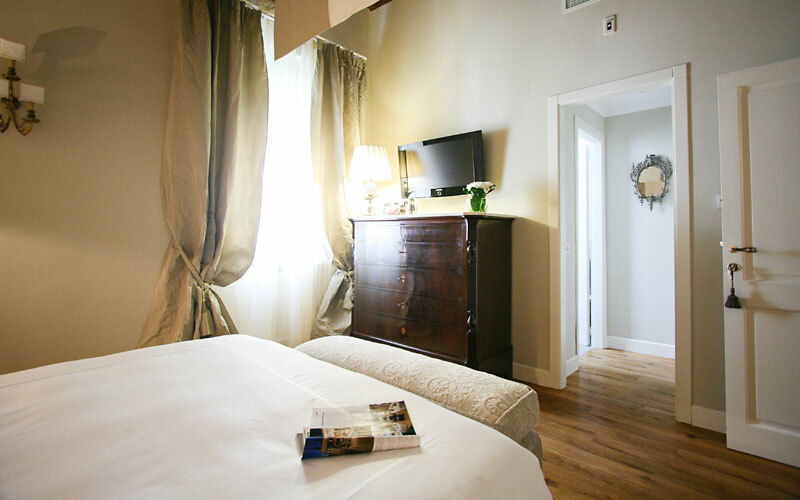 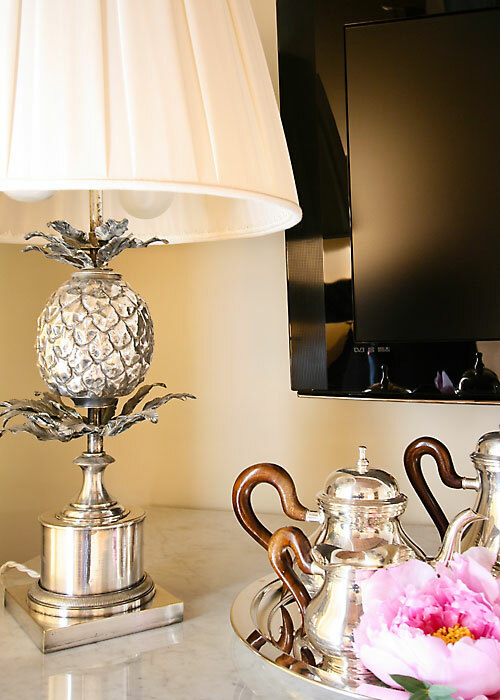 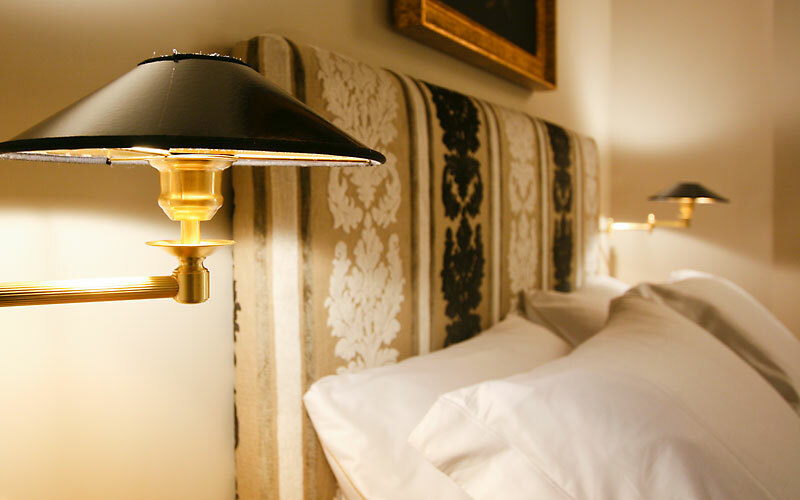 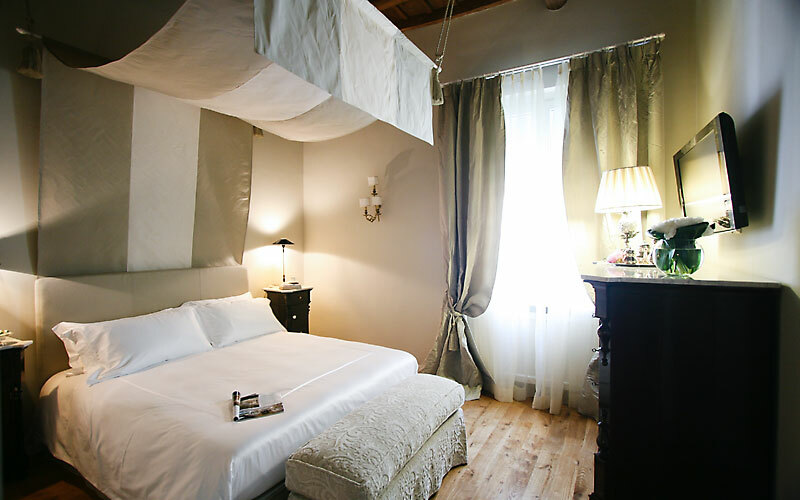 Crossing Condotti has a total of five, beautifully appointed bedrooms, in which parquet floors, coffered ceilings, antiques and period paintings live side by side the latest in technology, including both wireless and cable high speed internet connectivity. 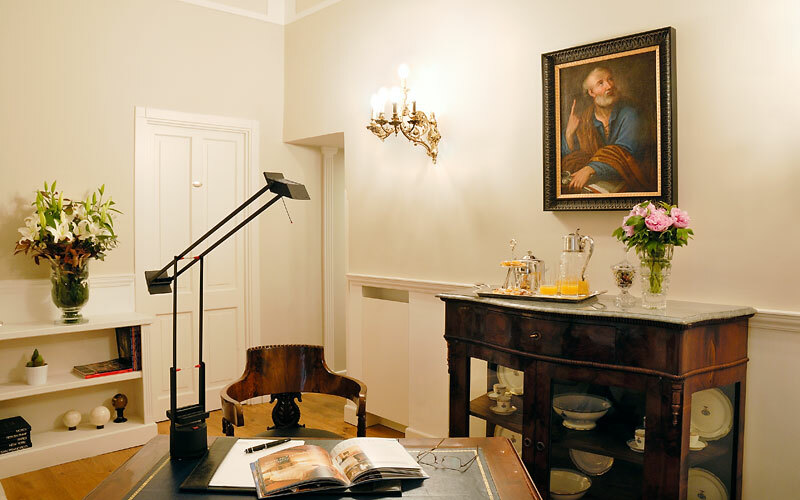 During their stay, guests are able to make use of Crossing Condotti's kitchenette, where to make a coffee or help oneself to a soft drink, free of charge. 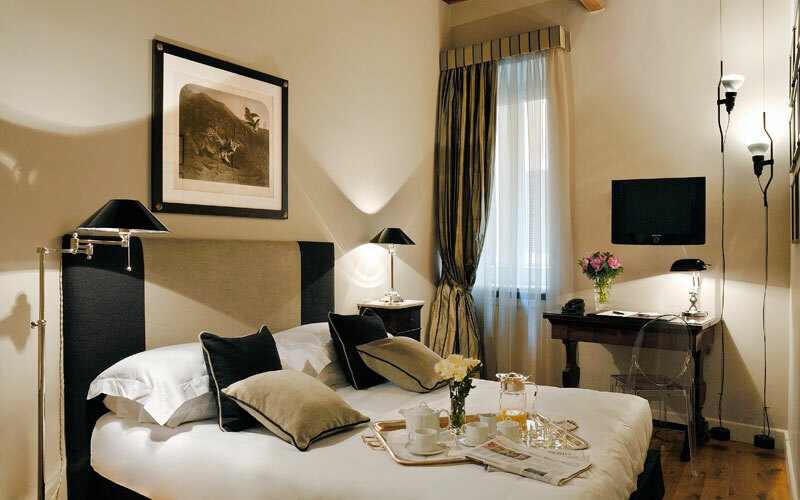 Each day, guests find a courtesy tray with biscuits and all that necessary to make a cappuccino, hot chocolate or cup of tea in their room. 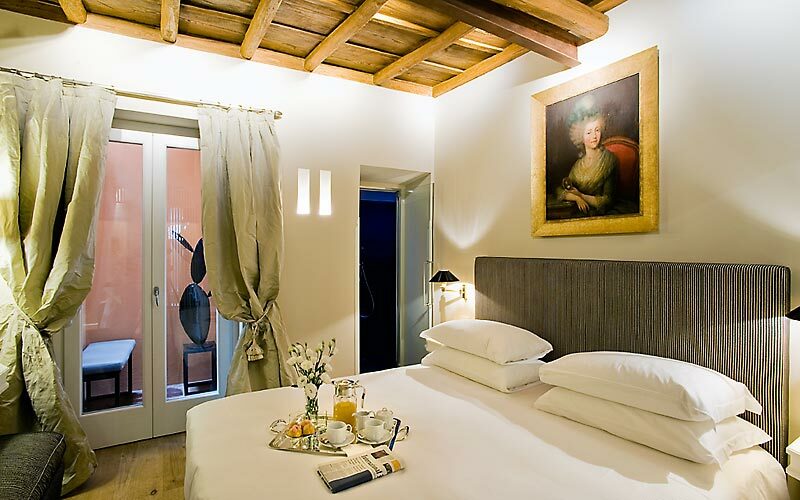 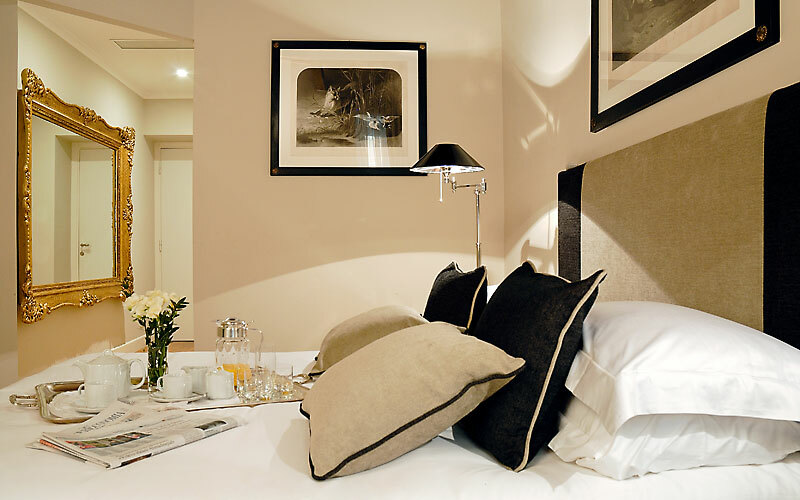 Situated on the ground floor of the building, with separate, private entrance and facing a small private courtyard, the Junior Suite Margutta offers its guests peace and tranquillity. 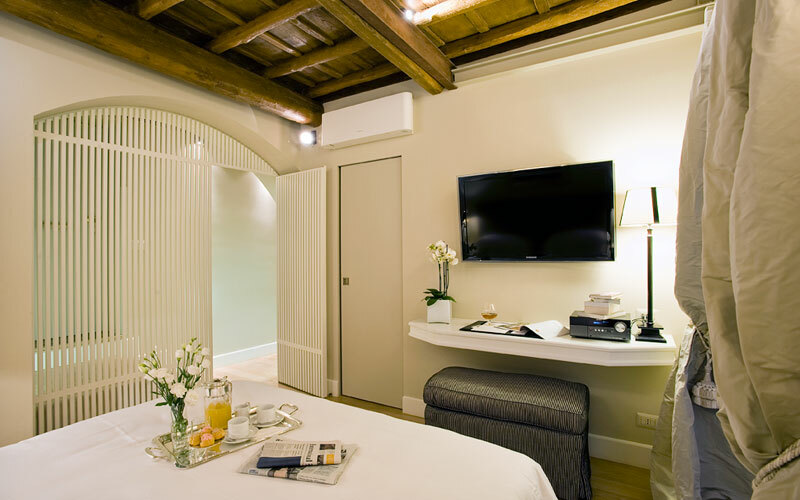 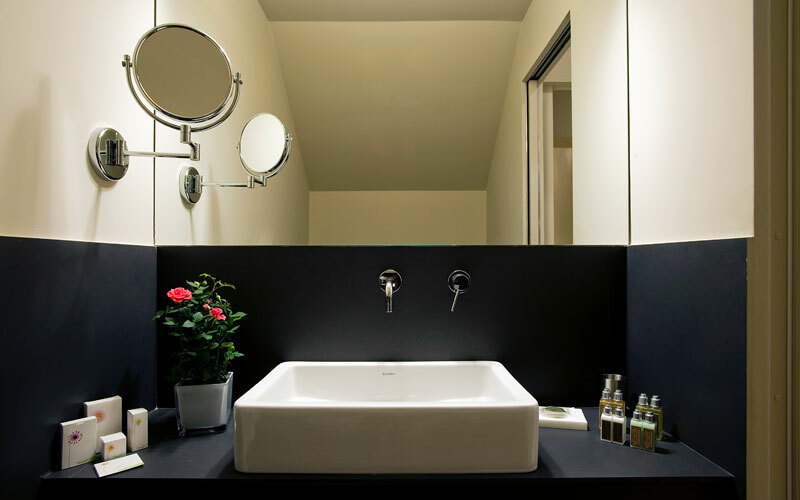 With a total of 35 square meters, it is the most spacious and comfortable room with a walk-in wardrobe, separate small sitting-room and bar-kitchenette; the magical Turkish Bath with LED lights for chromotherapy make the Junior Suite Margutta the most seductive room at Crossing Condotti. 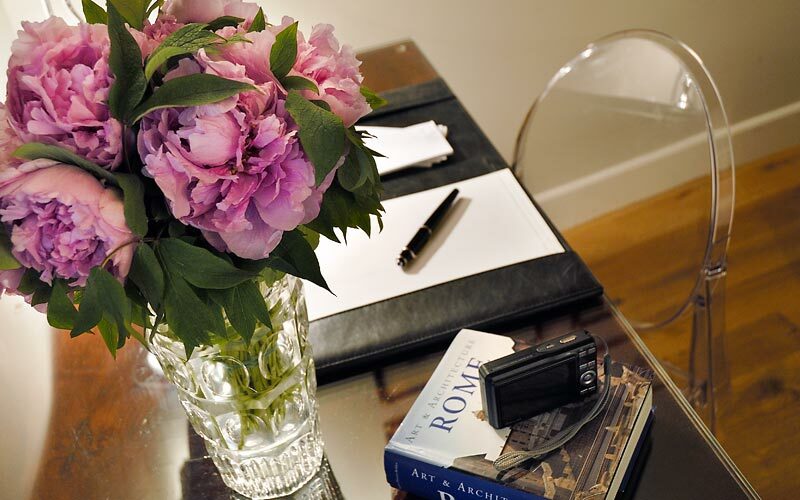 Crossing Condotti's highly qualified staff members are always more than happy to assist guests in arranging transfers, car rental, guided tours of the city, and restaurant reservations - making sure that guests enjoy to the full their stay in Italy's magnificent capital city. 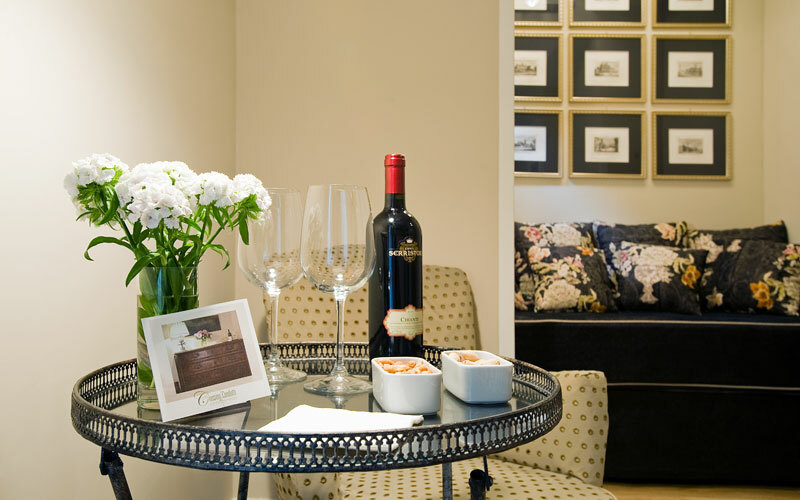 Crossing Condotti is situated in a charming road which traverses Via Condotti, the street famous for its designer fashion shops and just meters away from Piazza di Spagna and the heart of the historic center of Rome.